After yesterday’s stocking stuffers roundup for her, I obviously had to counterbalance it with an equally awesome collection for guys. One of my fave parts of holiday shopping is picking out stocking stuffers for my husband – although regrettably he isn’t quite as adept at picking them out for me (self-proclaimed!) – and I’m sure he’d be plenty happy if any one of these ideas showed up in his stocking this year. Fun fact: These gumballs were one of the first things I earmarked to be featured on the CGG this holiday season, because they were so gross, and so mystifying, I couldn’t NOT include them. Inspired by the ‘Hungry Man’ dinners of the 50s, this metal tin of gumballs contains three Willy Wonka-esque flavours to make a complete meal: gravy-dipped roast beef, hot buttered corn, and apple cobbler to round it out. A perfect, quirky pick for any jokester in the family. If guys have one cosmetic hangup, it’s probably their hair – especially when it starts to go buh-bye. Head & Shoulders has recently launched a new thickening tonic that features a proprietary triple action complex (and unique ingredients like caffeine) to provide immediate thickening benefits. While the product is designed to be used with Head & Shoulders’ dandruff-fighting shampoos and conditioners, it also helps improve the scalp condition to lock in moisture and prevent a sprinkling of ‘snow’. A must-have for any guy that’s a little self-conscious about what’s going on up top. Give him a little extra juice on the go with one of Schatzii’s vibrantly hued Power Sticks. These innovative chargers feature 2,000 mAh, enough to charge his smart phone by 130%. It’s a great choice for any guy that lives and dies by his phone – and turns purple when he gets the dreaded ‘dead battery’ image when trying to use it. These slim sticks are easy to keep stashed in the car, his briefcase, or his gym bag, so you can stay in touch no matter where he is. They also charge up super quickly once he’s zapped them dry – just plug in at night and he’ll be good to go for the next day. As a heads up this product is just hitting the shelves this month. You’ll want to call your local Staples or Target before visiting them to ensure it’s in stock – or you can ask the fine folks at Schatzii to help you track it down. Get ready to bust every dietary promise you made yourself this holiday season. 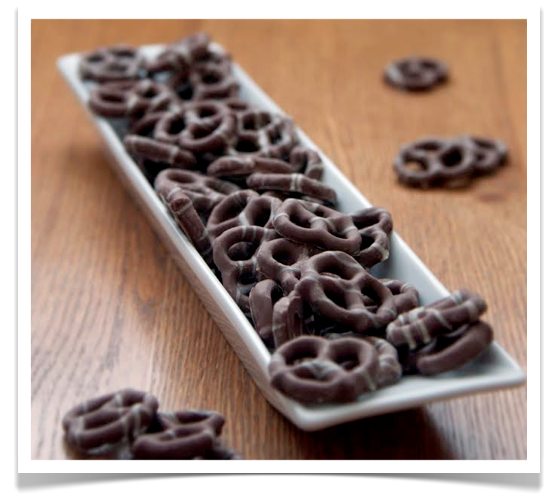 These chocolate-dipped pretzels from Chocolaterie Bernard Callebaut are unreal. Coated in the brand’s signature milk and white chocolates, each bite is a perfect blend of salt, sugar, cream, and crunch, for a taste sensation you’ll want to savour. It’s a decadent alternative to his typical bag of chips, and the perfect thing to serve up at your next Sunday night football group hangout. Although be warned…the chances of these treats lasting till then (never mind being shared) are pretty much non-existent. 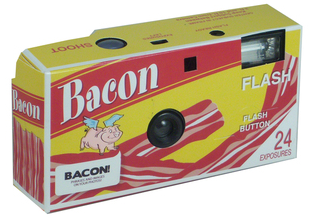 On paper, this looks like your average single use camera with a fun, bacon-y theme. And for a bacon lover, it certainly works as a quirky choice. But in actuality, the real fun comes from when you develop the photos. Mustaches will magically appear on any face you snap, and funny bacon-themed messages and images will also pop up. Honestly it would be more fun if you don’t tell your giftee that’s the case and just let them snap away this holiday season – as long as you remember to take some real photos on the sly. More stealthy than a Swiss Army knife, this amazing, credit card-sized tool is actually 18 gadgets in one tiny, sleek little package. Made from 4x heat-treated steel, the Wallet Ninja comes with a lifetime guarantee to never rust, bend or dull. It’s awesome for any handy guys in the family, particularly those that like spending hours in their workshop, on their boat, or in the great outdoors. Open bottles, screw things in, or measure a short distance, amongst many other functions. It’s also approved to go on board with you while flying, so your guy never has to feel helpless when he’s traveling the globe. If his New Year’s resolution is to spend less on lunches, here’s one way to slice his sandwich budget in half. These unique toasting bags will give you the crispy crunch of a gourmand panini – at a fraction of the price. These no-mess bags can be re-used up to 50 times each. All you have to do is pop your sandwich into the bag, and boom, your food is perfectly heated in a fraction of the time as using a conventional oven. It’s also ideal for other foods that don’t fare well in the microwave – such as chicken nuggets or a slice of pizza. And with 4 bags in each package, it’s a gift that’ll last him all year long. 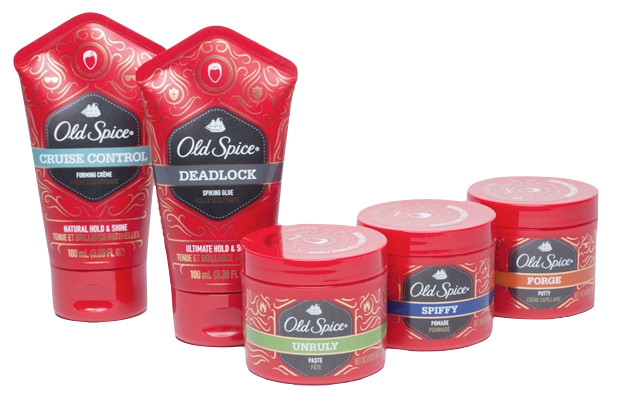 Not content with simply making your man smell amazing – now Old Spice has expanded into helping him look amazing too. This past year, the men’s grooming juggernaut launched five new hair styling products, each designed to give him a different level of hold and shine. From the powerful, locked and loaded hold of their Forge paste or Deadlock glue to the more easy breezy look of their Cruise Control creme or Unruly paste, you’ve got plenty of options to either suit his everyday style – or give him room to experiment. And like with all Old Spice products, the stuff smells amazing. A no-brainer stocking stuffer that he’ll actually use. If he likes to luxuriate over his morning brew – whether it be tea, coffee or cocoa – then this fun gadget is a great pick for his stocking. Simply press a button on the handle an a built-in whirring disc will expertly blend his cream, sugar or other sweetener without having to grab a spoon from the drawer. Plus if things start to separate, he can give it a quick whirl mid-consumption. It also works if he’s enjoying a cup of soup, or some other liquid item. Some may call it lazy, yes, but I call it what it is: ingenious. And pretty fun too. Here’s how to enter to win it all! 1) First and foremost: you must be a subscriber to the Canadian Gift Guide to enter this giveaway – it takes mere seconds to sign up! Just find the ‘Gift of Gab’ box on the righthand side of this page and either hit Follow or enter your email address. Once you’ve done that (or if you already did it before), simply leave a comment on this post by December 28, 2014, telling me what your favourite ‘Stocking Stuffers for Him’ gift ideas are from this post. 2) Entries are limited to one per person / per email address / per household (or more if you score bonus entries). A random draw will be conducted on or around December 29, 2014 to select the winner(s), who will have 48 hours to respond before another winner is chosen in their place. Head & Shoulders is on Twitter. Tweet at them and me (@cdngiftguide) with a creative Tweet that links back to this post. Provide a link to your Tweet in a separate comment below. Schatzii would love for you to share their Power Sticks on Pinterest. Pin the image above to your Pinterest board and provide a link back to your Power Stick pin. Chocolaterie Bernard Callebaut is on Twitter. Follow them, tag them and me (@cdngiftguide) in a delicious Tweet that links back to this very post. Provide a link to your Tweet in a separate comment below. O.co would like you to sign up for their O Mail. Click here to sign up, and then let me know in the comments below that you’ve done so. You don’t have to spell out your email address in the comments – if your bonus entry is chosen as the winner however, I will be verifying your email address with the O Mail database so stay honest folks. Cards and Accents – the distributors of Wallet Ninja – is on Facebook. Like them, leave a comment on their wall regarding the Wallet Ninja, and link back to your wall post in a separate comment below. Carly’s Regal Gifts – is on Facebook. Like them and then leave a comment on their wall regarding your favourite stocking stuffer for him from the Carly’s Regal Gifts website. Link back to your wall post in a separate comment below. Old Spice is on Twitter. Tweet at them and me (@cdngiftguide) with a creative Tweet that links back to this post. Provide a link to your Tweet in a separate comment below. Opuszone – is on Facebook. Like them and then leave a comment on their wall regarding your favourite stocking stuffer for him from the Opuszone website. Link back to your wall post in a separate comment below. My favourite gifts on this list are the self-stirring mug, the power stick and the toasting bags! He would love the chocolate pretzels and the power stick. I want my hubby to have all of this! Except for the thickening tonic, which at 40 he still does need! knock on wood! 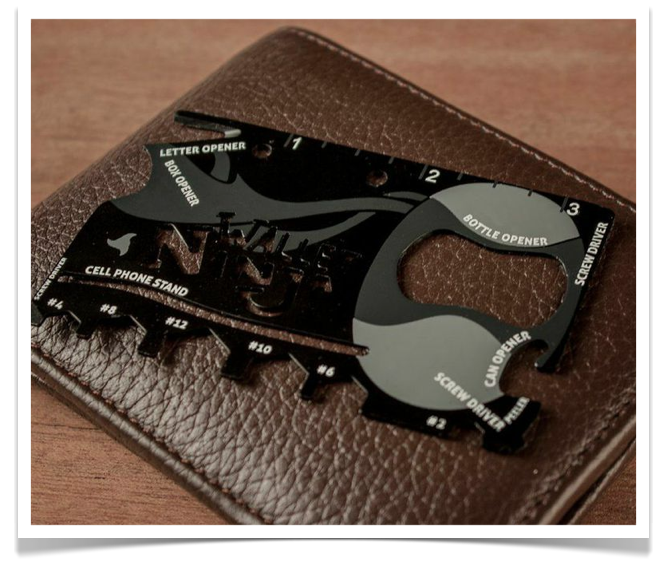 Hubby would be thrilled with the Schatzii Power Stick & Wallet Ninja..so would I lol! Inspector Gadget! I’d like to try the Toasting Bags! Hubby would like the Schatzii Power Stick and the whole family would love the bag of Chocolaterie Bernard Callebaut Chocolate Dipped Pretzels. Those Schatzii Power Sticks are so cool! These would be a hit! A License 2 Play Bacon Camera and the Schatzil Power Stick would be perfect. I’d like to give my husband the TV Dinner gumballs so I can grin while announcing “Hey, Honey, Supper’s ready!” LOL! I realyl love the Pocket Ninja. My husband would think that was so cool. 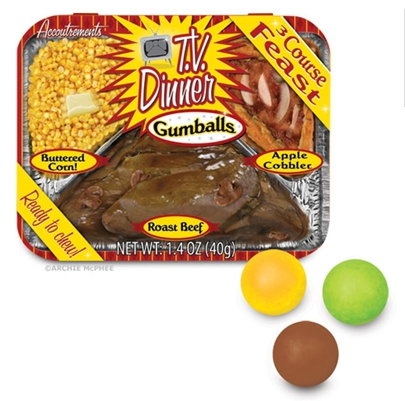 I’d love to try the TV Dinner Gumballs just to see how they taste! I like the wallet ninja, the self stirring mug and the toasting bags. For my husband it would be Head & Shoulders Advanced Thickening Tonic. I’d have to go with the gumballs – such a unique item. And anything chocolate for his sweet tooth! I would love that Wallet Ninja! The TV Dinner Gumballs would be a real chuckle to add to my son’s and husband’s stockings. Love the Schatzii Power Sticks but for fun I also like the stirring coffee cup!!! The 4x Old Spice haircare products…..
For my husbands stocking I would love Old Spice Styling Products and Chocolate Dipped Pretzels. I think the Wallet Ninja is pretty cool! The toasting bags are genius! What will they think of next? 🙂 I also like the chocolate dipped pretzels and the bacon camera. Thank you for the ideas! The license to play bacon camera is so funny! I really like this stocking stuffer: Schatzil Power Stick. That’s a great idea. I love the wallet ninja and the bacon camera. I love the tv dinner gum since it is so unique. My husband, and my kids, would love it! I would like to have anything from this great list of gifts. Love,love, love the toasting bags. After spending an entire day trying to clean the toaster after someone (who shall remain nameless) tried to make grilled cheese sandwiches in the toaster, I’m really loving these. would be something he might be willing to share. Fabulous choices!!!! Lots of great stocking stuffers. I love the self stirring mug and the tv dinner gumballs…great and unique gift ideas! LOVE the self stirring mug! That’s so cool! Fave gift ideas from the selections = Schatzii Power Sticks. All the choices look great too. Thanks! My favourites are the Schatzii Power Sticks, the Bernard Callebaut Chocolate Dipped Pretzels, and the Wallet Ninja. I think the Wallet Ninja would garner the most use but it’s a tough call between that and the Schatzii Power Sticks. I like the bacon camera! my hubby would love the self stirring cup. says I never mix it well. I am a subscriber. 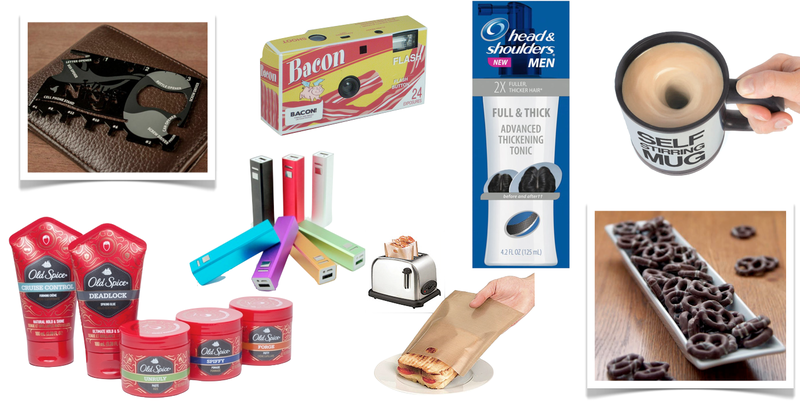 From this post, my favourite ‘Stocking Stuffers for Him’ gift ideas are the Schatzii Power Sticks (in black), the License 2 Play Bacon Camera (heehee), and the Wallet Ninja (you never know). Thanks. 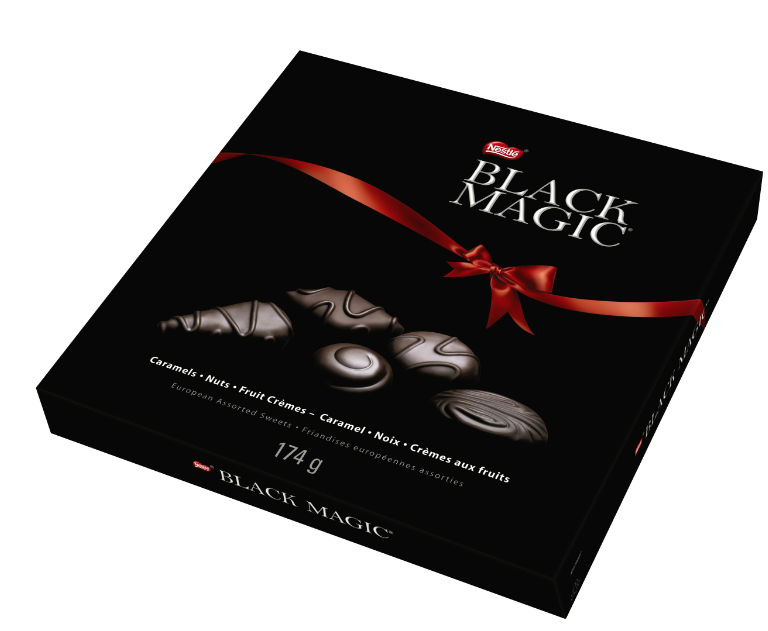 Black Magic Chocolates for him – then we can share them! I subscribe by email. I like the wallet ninja. Can’t go wrong with Old spice!!! The Wallet Ninja is so clever, and I like that it’s approved for flying. The Bacon camera is a must-have!!! I love that it builds in a moustache on the photos. I have one quirky fella and I know he would LOVE this. I want the Ninja Wallet (Awesome!) and the Toaster Bags (think of all the things I could make for lunch at work). TV Dinner Gumballs – $5.95 @ Shits N’ Giggles just because they are so unique. those toaster bags wow ! The self stirring mug is amazing. Would love to win those! self stirring mug- seriously wild! The Wallet Ninja is fantastic! The License 2 Play Bacon Camera would be a great gift for my brother! I like the Wallet Ninja and the Old Spice products! I really like the bacon camera and the Wallet Ninja. I am following via Sweepstakesclub@gmail.com and my favourite choice of item from this list is the Old spice but hard to choose, some great gifts from this list. The TV dinner gumballs would be perfect joke gifts for my brothers. 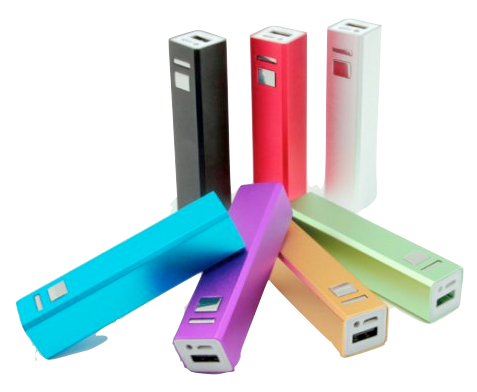 They’d also like the Schatzii Powerstick. I’ve subscribed to the O.co mailing list. I subscribe and I think the Chocolate Covered Pretzels would be my man’s favourite. Tweet to Head and Shoulders. Comment on Carly’s Regal gifts page. Love the TV Dinner Gumballs- am a big fan of Willy Wonka! My favourites are the Black Magic Chocolates by Nestle and the wallet ninja. I’m subscribed to you. i say my favorite items so far are the TV Dinner Gumballs and the selection of Old Spice products- love! The chocolates, maybe he would share them with me. I will definitely be getting a wallet Ninja. The power sticks were cool too. My favourite ‘Stocking Stuffers for Him’ are the Wallet Ninja, the Head & Shoulders Advanced Thickening Tonic, the Self-Stirring Mug and the Old Spice Styling Products. I like the self stirring mug the most. My favourite stocking stuffer is the Head & Shoulders Advanced Thickening Tonic; although, I’m not sure what kind of message I’m sending if I gave it to my husband. Favourite stocking stuffers are chocolates, boxers and socks. OMG!!! He is a huge bacon lover and would would totally get a kick out of the bacon camera!! Thanks for the chance to win!!! I think the power stick would be very popular. You had me at Old Spice!!! I love their products and love when my hubby wears it and smells so heavenly. My favourite would be the wallet ninja!! My favourite Stocking Stuffers for Him idea has to be the TV Dinner Gumballs! Hilarious, Disturbing, and amazing all at once!! I love the wallet ninja! Definitely love the wallet ninja and the chocolates! I think the wallet ninja would be a great stuffer for my guy! These are great choices for men! I think mine would especially enjoy the charging stick because he works long hours! hands down, the tv dinner gumballs! The tv dinner gumballs and bacon camera are awesome!! The bacon camera looks adorable! I can think of so many men to give that to! That Wallet Ninja looks great, and who can resist chocolate pretzels? The self-stirring mug would be very popular in my house! Schatzii Power Stick is a perfect idea!! Chocolate Dipped Pretzels from Chocolaterie Bernard Callebaut. 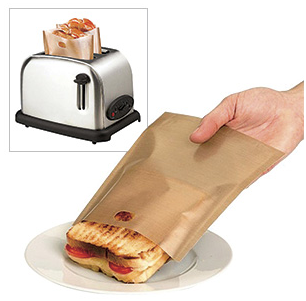 Those toasting bags are so cool. My boyfriend eats a sandwich every day for lunch and I’m sure he would love them. The power sticks!! They’re so handy. I like Old Spice Styling Products, Chocolate Dipped Pretzels and Schatzii Power Sticks for him. wallet ninja – fun and useful! pretzals for me, and old spice for my dad. he loves old spice. Merry Christmas everyone, hope we all win something! @HSforMen @cdngiftguide my husband Rachid is HeadnShoulders above the rest…# isthatoriginal? The license to play bacon camera. I love the Head & Shoulders Hair Thickening Tonic and Schatzii Power Stick for my partner! Signed up for omail with the same email address! I like the Schatzii Power Sticks. I really like the Schatzii Power Sticks, the chocolate dipped pretzels and the ninja wallet! My favourite is: Schatzii Power Sticks. I really like the idea of chocolate covered pretzels…but he might not get them if I see them first. I like the Schatzii power stick. I like the power sticks and the chocolate covered pretzels! ohh,the wallet ninja is cool,and the OldSpice products as well, my hubby loves Old Spice,so that would be great for him. I like the self stirring mug and the bacon camera. They’re fun gifts! 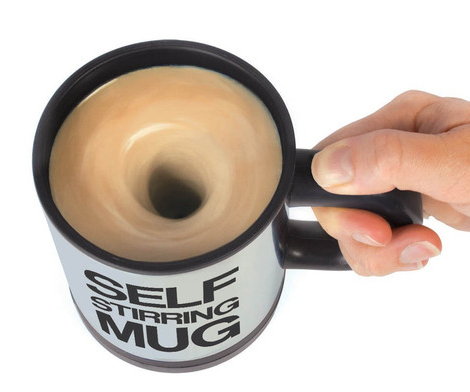 The self stirring mug! He always forgets to stir. The Self Stirring Mug is pretty awesome! The Bacon Camera is awesome! Lol! My dad has the self stirring mug and it is pretty great too. The Schatzii power sticks are a great idea. I love the wallet ninja. Would be so handy to have all of the time. I signed up for the O.Co Omail list. The wallet ninja and Power Sticks are cute. The charger, hoping to win this one for my brother-in law!